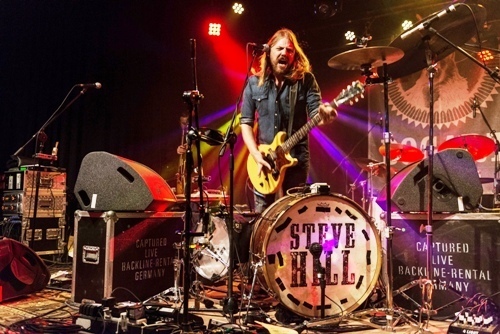 Steve Hill is the one man blues band who is set to take Britain by storm when he guests on Wishbone Ash's forthcoming UK tour. 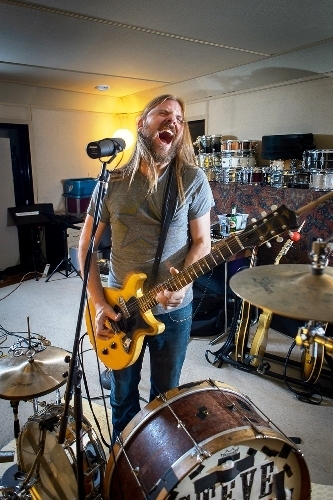 The 42-year-old Canadian is already well known on his home country's blues-rock scene but his new album, Solo Recordings: Volume 3, is set to introduce him to an even wider audience. It's in concert that Steve really impresses and Wishbone Ash fans will not want to miss his opening slot on the 27-date UK tour which includes a show at The Brook in Southampton on October 25. He sings and plays guitar while standing up, his feet playing bass drum, snare drum, hi-hats and, with a drum stick fused to the head of his trusty guitar, any other percussion within reach. He gets the bass notes by feeding three of his strings through an Octaver guitar pedal that's hooked up to a bass amp. Steve's no overnight sensation – it's been 20 years since the release of his debut album. Over the course of nine albums, he has explored everything from hard rock, country and stoner rock to folk music, while always incorporating the essence of his first love, the blues. In January 2015, he was awarded four coveted Maple Blues Awards, including Electric Act of the Year, Guitarist of the Year, Recording/ Producer of the Year and Entertainer of the Year. Solo Recordings Volume 2 won the 2015 JUNO Award for Blues Album of the Year. Throughout his career, Steve has shared the stage with many of his musical heroes, including Ray Charles, BB King, ZZ Top, Jimmie Vaughan, Hubert Sumlin and Jeff Beck. 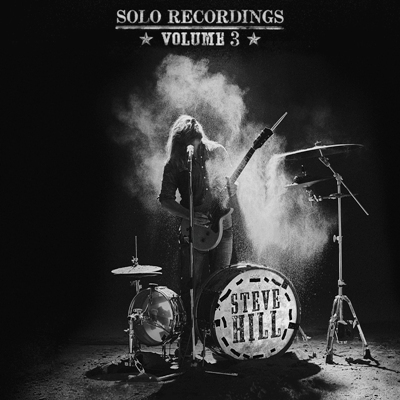 Solo Recordings Volume 3, released in Britain on October 6, 2017, features original tracks that are outright rockers (Damned, Dangerous, Rhythm All Over, Smoking Hot Machine, Can't Take It With You, Walkin' Grave) to more acoustic-based melodic tracks (Slowly Slipping Away, Troubled Times, Emily) and three re-imagined and rearranged covers (Still A Fool & A Rollin Stone, Rollin & Tumblin / Stop Breaking Down, Going Down That Road Feeling Bad). "When I started the Solo Recordings projects four years ago, I had hopes that the songs and performances would resonate with my existing fan-base," says Steve. "I am constantly trying to improve on the songs, both lyrically and technically, live and recorded, in order to keep the fans excited about my material and live shows. I feel that Solo Recordings Volume 3 is my best work yet and I am excited to present it."